Mike Oehler is/was my Uncle. I had promised him I would continue to keep his legacy alive by continuing to publish and sell his books. 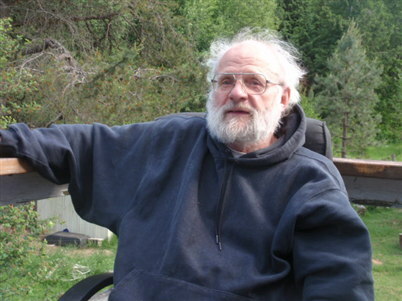 Mike basically pioneered a modern, underground housing method that makes use of recycled materials and a construction method he invented known as PSP. PSP stands for Post-Shoring-Polyethylene. I Thank you for your continuing support! 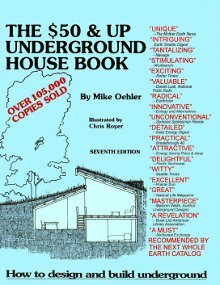 Check out Mike Oehler's website undergroundhousing.com for books and DVD's and plans on building your underground house. They should answer all your questions on best use of your property. I will say that his invention of the PSP method works. To this day, his original underground house,that he lived in for over 25 years, is in excellent shape, very livable and cozy. Also note that his first experiment with underground housing was on flat ground and guess what....although his PSP method is in place, flooding is an issue. Must read, $50 & Up Underground House Book. SPECIAL #3 includes Workbook, Design Kit and Shelter Plans! 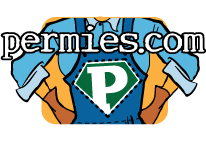 These videos are available to view right here on permies.com! And you will also get the digital downloads of The Earth Sheltered Solar Greenhouse Book The $50 and Up Underground House Book. Don't miss out on this great deal! Scroll down to find the payment box. Once you pay, you can download the books, and watch the videos in this thread. Enjoy! Nothing we know of comes remotely close to matching the wealth of knowledge found in this six-hour three-DVD set. The design course taught in DVD two is worth hundreds of times the cost of the set in the increased light, views and air. It will benefit your subterranean home, and the resale value will skyrocket. If you are convinced you want to build below surface, but you need more information to make up your mind, or your mate's mind, you need this set. It is valuable to owner/builders, architects, contractors and self-designers alike. Instructor, Mike Oehler, has taught at architecture departments at colleges and universities across the U.S., Canada, England, Scotland, Germany, the Netherlands and Belgium. Having the material down pat, he is able to anticipate your confusion and questions. And, unlike the live workshops, the videos allow you to study the material repeatedly and to share it with friends and family. The Post/Shoring/Polyethylene (PSP) method of building underground with the warmth and charm of wood is explained in the first DVD. A layer of plastic which protects the wood from the damp of the earth is the secret. The original structure, built by this method as an experiment in 1971 for $50, is still in use. Instructor Mike Oehler lived in it for 30 years. He then worked on the stunning PSP earth-integrated Ridge House with its thirty-mile views. This DVD winds up with a slide presentation showing construction and completion of a number of underground homes built by this method. Construction costs can be as low as 1/10th the cost of normal construction - sometimes even less. This is the heart of the workshop. Using chalkboard scale models he has hauled for years to universities across North America and Europe, Oehler teaches his revolutionary methods of underground design. Rejecting the four common methods (the foolish four: skylights, atriums, vertical window wells, and the incredibly poor first thought design) he teaches instead twelve methods which guarantee light, views and air from any and all directions of the compass in each and every underground room. No more airless, dark, basement-like underground buildings! Mike is fond of saying, "An underground house has no more in common with a basement than a penthouse apartment has with a hot, dark, dusty attic." You will actually design five underground homes during the screening of this DVD, using the downloaded copyrighted design kit. These hands-on exercises drill the methods home and are actually fun! Upon completion this course you will have a better concept of underground design than the vast majority of practicing architects today. This DVD winds up when Mike takes you on a personal tour of the four underground or earth sheltered houses on his land. You see real-life applications of Up Hill Patios, Hollywood Wings, the Royer Foyer, Basic Designs, and more. 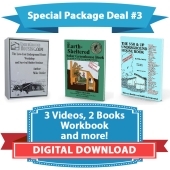 This third DVD teaches how to build a shelter for pennies on the dollar. It can take your family and friends through nuclear fallout, raging fires, hurricanes, tornadoes and even earthquakes. If surrounding above-ground structures have been destroyed, it may be lived in and used as the starting point for an underground house. 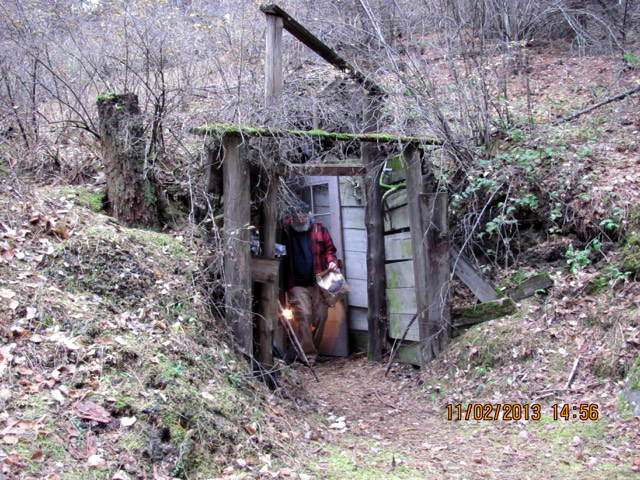 In normal times the shelter may be used as a root cellar, workshop, spare bedroom, kids play house, or tool shed. The cost of a 12x12 shelter should run from $100 to $1500, depending on how many recycled materials you use and how much of the work you do yourself. Included are comprehensive shelter diagrams without additional cost. The second part of this DVD teaches how to design and build a wonderfully effective earth-sheltered greenhouse. 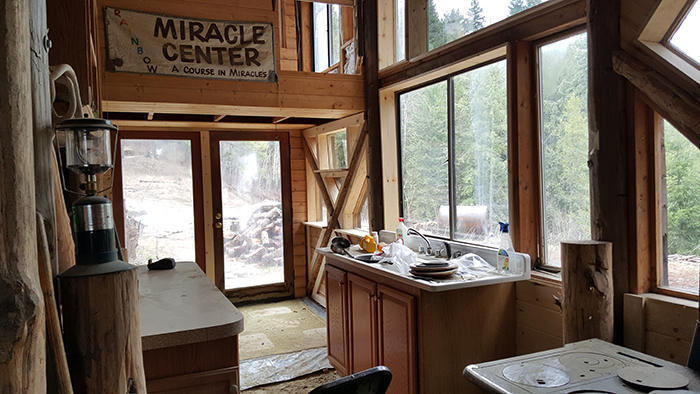 The prototype of this, invented and built by Mike Oehler on his 40 acres in mountainous North Idaho, just 30 miles south of the Canadian boarder, was in service for a quarter century. This greenhouse took tomatoes into the second week in December and hardies like kale and cabbage clear through the winter year after year, without any source of heat other than the sun and that which is trapped in the earth. 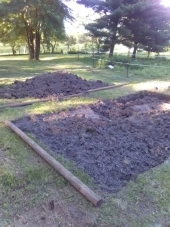 The greenhouse is resistant to the ravages of moles, rabbits, deer, gophers and most other plant predators. This greenhouse can even collect its own irrigation water. A 10x30 unit should cost between $200 and $3000 depending upon materials and labor. The third part of the shelter DVD continues with a slide-show of the underground structures on Mike’s land. It includes astonishing effective earth-sheltered greenhouse. The Earth-Sheltered Solar Greenhouse Book teaches you how to design and build a greenhouse that is six times more effective than the common greenhouse. Most greenhouses rise up into the air where they lose heat at night and in the winter from four sides and the roof, while gaining heat from just the earthen floor. The greenhouses described in this book overcome this problem; and the book explains how to build an earth sheltered greenhouse, using Mike Oehler's PSP building system, which will allow one to grow vegetables year round without supplemental heat. 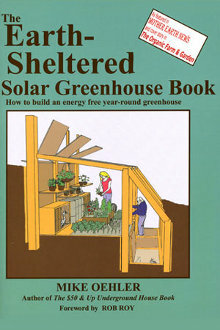 You can now purchase the digital download of The Earth Sheltered Solar Greenhouse Book here. Pay with Paypal and the link will appear at the bottom of this post. Enjoy! Mike's mega deal for permies: get the "$50 and Up Underground House Book" plus the 3-DVD workshop (with the extra important part about getting light from all four directions) plus "The Earth Sheltered Solar Greenhouse Book" and as digital download for freaky cheap! . 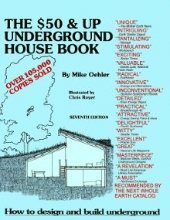 The $50 & Up Underground House Book tells how to build the lowest cost, best ventilated, most sunshine-filled and driest underground houses of all. It teaches how to incorporate greenhouses, fallout shelters and root cellars into an underground home. 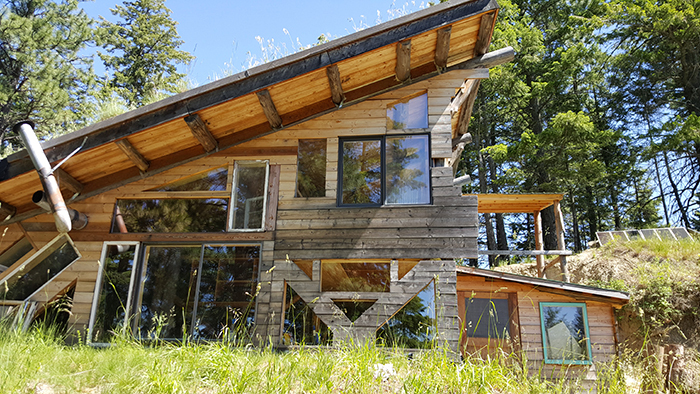 Covering both hillside and flat land design it explains how to use dependable gravity to solve drainage problems rather than expensive failure-prone building materials. It also details ways to pass or otherwise deal with the building codes. This book explains in detail, author Mike Oehler’s revolutionary Post/Shoring/Polyethylene (PSP) building method which cuts building materials to the bone. You can now purchase the digital download of The $50 and Up Underground House Book here. Pay with Paypal and the link will appear at the bottom of this post. Enjoy!